Keeping Warm! 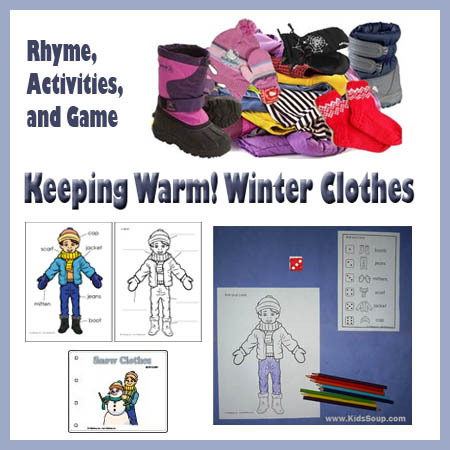 Winter Clothing Riddles, Rhyme, Game, and More! 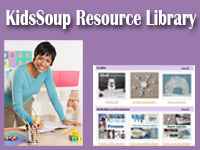 Build winter clothing vocabulary with playful riddles, rhyme and movement, writing, and a coloring game. 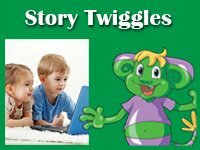 Ask children to name clothing that people wear in winter to stay warm. Write their responses on the chart paper. 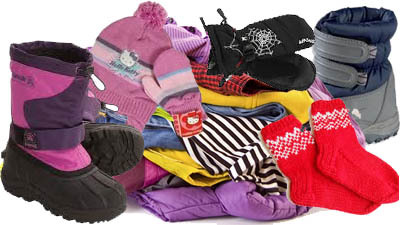 Place a variety of winter clothes (jacket, mittens, scarf, warm socks, cap, boots, etc.) inside a suitcase and have children name each piece as you remove it. Or recite the riddles below, and when a child responds with the correct answer, have him/her find the matching item in the suitcase. Recite the rhyme and make matching movements together. The day is cloudy and the wind is bold. Dress up warmly, you mustn't get cold! put on your left boot, put on your right. put on your mittens and clap-clap-clap! Go outside and play and play. take off your left boot, take off your right. take off your mittens, and then take a nap! 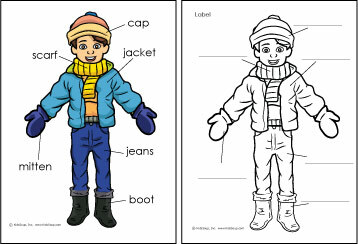 Place Winter Clothes printables in your classroom writing center and let children label or copy the winter clothes words. Children will learn the names of winter clothes. Children will read the names of winter clothes. 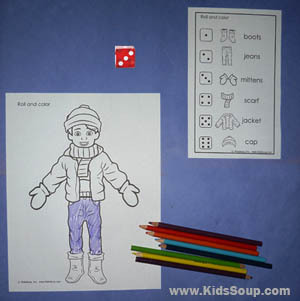 Provide each player with a Winter Clothes coloring page and crayons or colored pencils. Depending on the developmental level of your children, choose which dice instructions you want to use. Taking turns, each player rolls the dice and colors the clothing part that matches the rolled number. The first player to finish coloring in all the winter clothes on his/her Winter Clothes Coloring Page wins the game. 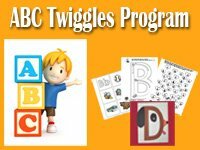 Place an assortment of winter jackets, boots, gloves, hats, mittens, and scarves in the dramatic play area of your classroom. Encourage children to practice using buttons, zippers, buckles, and ties as they try on different items. This helps children develop and improve fine motor skills. It also helps children gain independence with respect to dressing themselves for outdoor play on cold or snowy days.